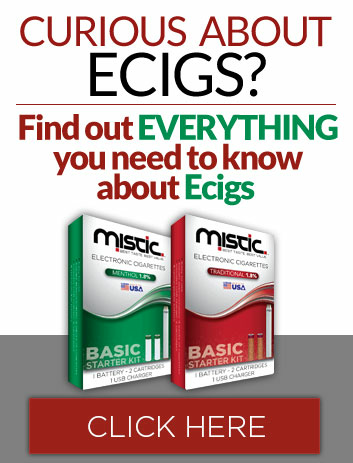 Here at Mistic, we’re regularly offering some sort of HAUS or Mistic e cig coupon code. With Mistic e cig coupon codes, you can save even more money on our already value-priced electronic cigarettes, refill cartridges, or batteries. This means if you are thinking of switching to e cigs or personal vaporizers, now’s the perfect time to try vaping. If you are already a loyal HAUS or Mistic user, our coupon codes will give you yet another reason to continue loving Mistic and HAUS. Check back to this page, visit our blog, or even sign up to receive emailed notifications of money saving coupon codes to get the most up-to-date Mistic E Cigarette coupon codes (we update this page whenever we start a new promotion). Remember, we always offer free shipping on orders over $50! So, whether we are running a promotion or not, you will still save money on your next order!